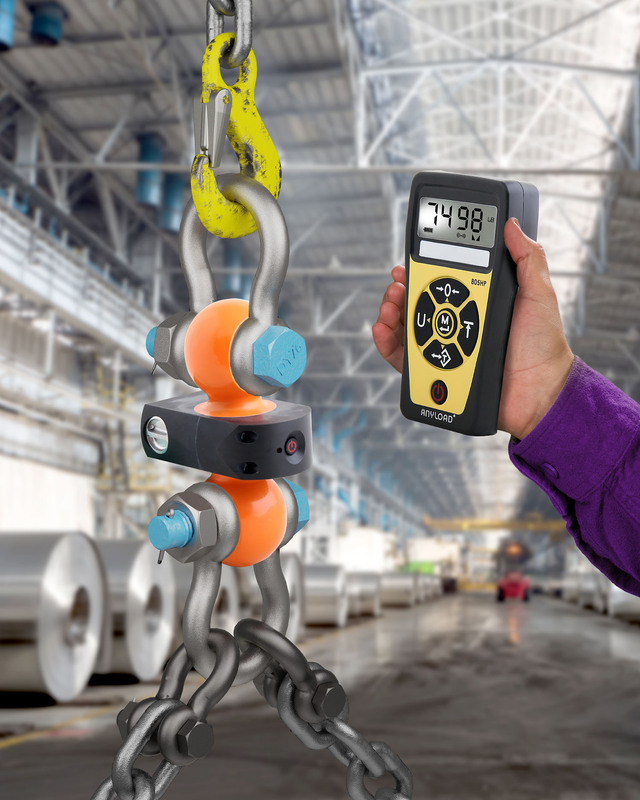 A new, battery operated dual-shackle receptor crane scale that features a hand-held wireless remote indicator and can be used virtually anywhere is being introduced by Alliance Scale, Inc. of Canton, Massachusetts. The Alliance Anyload® Dual-Shackle Dynamometer functions as a low-profile crane scale virtually anywhere by simply attaching it under a hoist and then attaching the load to it using standard shackles. Measuring only 6.5” vertically, it has a 5 ton/10,000 lb. capacity and features a hand-held wireless remote indicator that operates up to 75 meters away. Manufactured from die-cast alloy steel, the Alliance Anyload® Dual-Shackle Dynamometer provides a maximum safety load 200% of full-scale and operates up to 100 hours on three AA batteries. The indicator has an ABS enclosure measuring 6.7” x 3.9” x 1.3” and a 0.7” 6-digit LCD display. It also uses four AA batteries and operates for 100 hours. The Alliance Anyload® Dual-Shackle Dynamometer (Model 110RH-WL) and Remote Indicator (805HP-WL) sell for $1,395.00 (list) complete.